A Latina sorority says it was wrongly punished for hazing by the University of Virginia after requiring its members to study 25 hours a week. 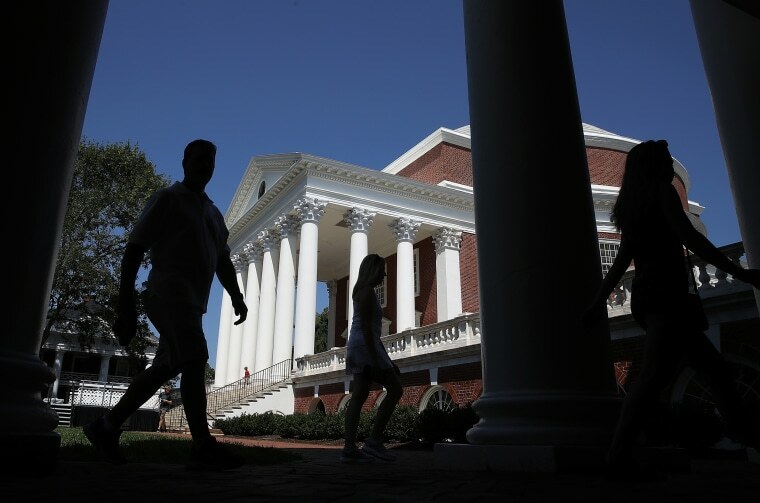 CHARLOTTESVILLE, Va. — A predominantly Latina sorority says it was wrongly punished for hazing by the University of Virginia after requiring its members to study 25 hours a week. The Daily Progress reports that Sigma Lambda Upsilon sued in September, saying the university agreed with a recruit who complained that being asked study so much violates the school hazing policy. The school suspended the sorority last March. The sorority, also known as Señoritas Latinas Unidas, says some classes and athletic programs have the same expectations regarding studying. It says the university is discriminating against the sorority because “racially different fraternal organizations” weren’t suspended over their hazing claims. The university claimed sovereign immunity in a November motion to dismiss, but the judge allowed the sorority to add university officials as defendants on Wednesday.